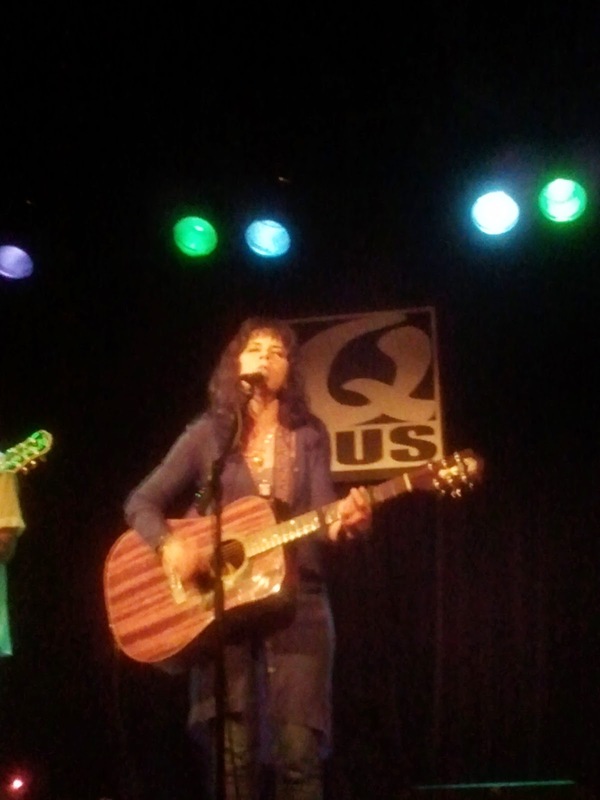 In the spring of 2014 Amanda Pearcy gave a show in the Q-Bus in Leiden. After hearing her on stage and talking to her after the show while buying her cd, I already had the impression that there were a million things to ask. 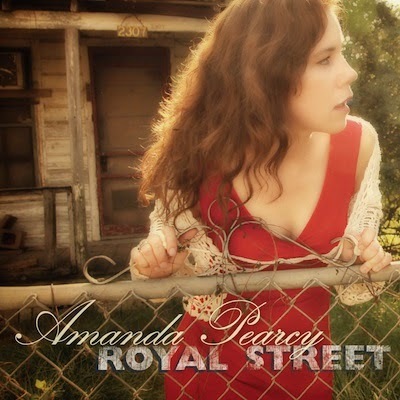 Her CD 'Royal Street' truly impressed me (read the album review here: http://wonomagazine.blogspot.nl/2014/05/royal-street-amanda-pearcy.html and the Q-Bus show here: http://wonomagazine.blogspot.nl/2014/04/amanda-pearcy-q-bus-leiden-18-april-2014.html). So I asked her to do an interview via email. Getting answers was not as easy as getting a "yes, good idea". There was always something in the way of answering. Things that are very private, but showed me how hard life can be for a private person, as well as for an artist acting in the margins of the market. It also shows how hard Amanda Pearcy's drive to express herself musically must be, in order to persevere. "I don't have the time. I'm writing at my kitchen table". The good news is that a new record is well under way and she is looking forward to tour in The Netherlands in October of this year. Something to really look forward to. And now it's time for the other good news: our interview. As not all readers may have heard of you, how would you like to introduce yourself? Hahahaha, ok... well just me. Amanda Pearcy. I'm a singer/songwriter from Austin, TX. Born and raised in Houston. I didn't go to Austin to do music, but to attend the University of Texas. 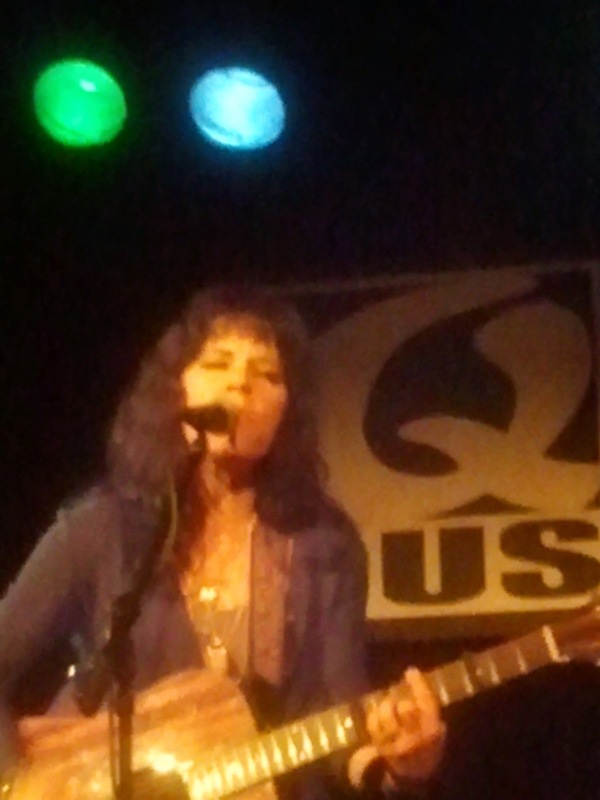 Life unfolded for me, and after being widowed, I picked up the guitar just to learn a few songs. I'd never written a song or performed in any way before then. Well one wasn't easier or harder than the other. But I had very much more of a say in the production process for Royal Street. Not that I couldn't have had that on the first one, but I didn't know anything then about doing an album. So, Royal Street is my favourite. It's simply a much better record. You have a very distinct voice. Is there anyone who you wanted to sound like when you were young? Your songs are all stories, almost observations. What is the story behind the “Blind boy, put a nickel in the vase”? A sightless friend was telling me about how his childhood had affected where he was emotionally in that moment. He said when he was a boy his mother had a vase that he liked to put coins in, and there was something about the sound that soothed him. He was bullied at school. He became dependent on drugs and alcohol. I rarely play this song out anymore. You are one of the few to mention it, although it is my producer's favorite song on the Royal Street album. Some songs seem “almost real”, almost visual. Do you get inspired by your life or are they more made up? And where does living in Texas come in inspiration wise? Definitely I get inspired by my life. I guess for me to write a song, I have to have experienced what I'm writing about, or as in the case of the previous question, personally know someone who has. Texas is home. It's what I know. For example, I've never been to New York City, so it doesn't occur to me to write a song that necessarily takes place there. Oh that's a fun one. Let me check my childhood record collection. Ok, ha-- It includes the Beatles, the Rolling Stones, Led Zeppelin, Talking Heads, the Grateful Dead, Stevie Ray Vaughn, Paul Simon, Dwight Yoakam, the Smiths, the Ramones, Jefferson Airplane, Hot Tuna, Carly Simon, and all the other women artists I mentioned before, plus Joni Mitchell, Emmylou Harris and Linda Ronstadt. There are several genres on Royal Street. Do you come to the recording studio with a clear vision on where a song should go or is this developed during the recording process? Both. My producer, Tim Lorsch, and I discuss it loosely at pre-production. But then we both like to have the players not be too constrained, so that they can then bring whatever interpretation they feel. Of course we have to have a general idea, but we don't like to tell them how to apply their paint to the canvas if you know what I mean. The recording process is so much more genuine and collaborative that way. It's beautiful to watch it go down. One songs is on love, another on expecting/longing for love and third about being better off on your own. What does Amanda Pearcy prefer? Hahahahaha, well I think I do better when I'm on my own. But I love to love. Not that I prefer it, but I guess I do do better on my own, because love brings some suffering for me. If I love you, I really really really love you, and then that of course, is always lined with a little suffering. It's just easier not counting on love. But when I'm in love, I can't imagine life without it. Royal Street is in New Orleans. You have graced it with a song (and an album title). What is your relationship with this street and city? I just love that city. It's like no place else in the US, because at its center, it's more like a European city than any other US city. It's quite magical there. And I love how the locals' accents sound like they are from Boston or something, but it's in the South. And the food,. And the flowers in the spring. And the voodoo. And the humidity, like where I grew up in Houston. I just dig how rich in history and culture it is. The relationship with the street--- well one of my former loves and I bought an antique garnet ring in one of the shops. That street is known for its art galleries and antique shops, including antique jewellery. With ‘No expectations’ there is an ear catching cover on Royal Street. What made you choose this song and was it hard to get a clearance from “the greatest rock and roll band in the world”? It's always been one of my most favorite songs on one of my most favorite records, the Rolling Stones' Beggar's Banquet. I have some pretty cool records, collectible types, and this is one of them. I would cover that whole album if I could, ha! But also the song accidentally tied in well not just musically, but lyrically, with mine. I wrote in my review you have lived and then started recording records, but did you come late to writing, playing and recording or is there a whole story to share? Right. I had never studied music, and never touched a guitar until almost 10 years ago. I simply wanted to try. I just wanted to learn how to play a few songs I liked. When I started, it never occurred to me to write a song. I had never performed, I sang in the car. My first lesson was the week Katrina hit New Orleans, oddly enough. Watching you on stage, I had the impression that you were not really comfortable there. Is it hard for you to perform for people? Yes! I'm going to try harder to fake that next time! I'm really uncomfortable performing. 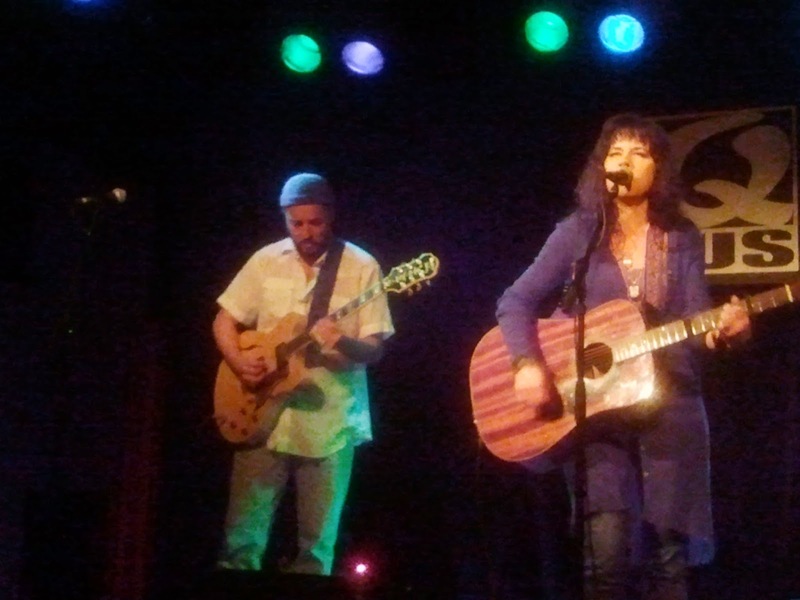 As a singer/songwriter, you're expected to talk some between songs. That is a slippery slope for me, because I don't know what to say, and then I start digging a hole, and can't quit talking, even though I really dislike the talking part of the performance. So then that makes it even more uncomfortable. The new CD! It just got tracked last weekend! :) 12 tracks, 11 originals, 1 cover, and another gumbo mix of genres! And an October tour in the Netherlands and hopefully other parts of Europe, too. Come watch me squirm on stage, ha! And please tell me: Who or what is coming down the street on the cover of Royal Street?